There are many methods that archaeologists can use to date the past. 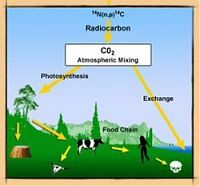 Radiocarbon dating uses the rate decay of a naturally occurring isotope called Carbon 14 to date any material or objects from the past that contained carbon. Carbon 14 decays at a known rate, and this can be measured and converted to the passage of time. Dendrochronology uses the occurance of tree ring growth patterns to establish dates. 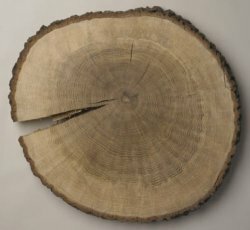 Each year, a tree adds another growth ring, and these are counted and dated using a computer application that records known tree ring growth patterns. This means that wood used for construction, boats etc can be dated accurately – sometimes even to the season in which they were cut down. Archaeologists still use typologies to classify artefacts such as pottery or flint tools. Archaeologists can also use the written record to support scientific methods when they work with material from historical periods.